Ireland captain William Porterfield reflects on an occasion full of emotion and promise for the future. 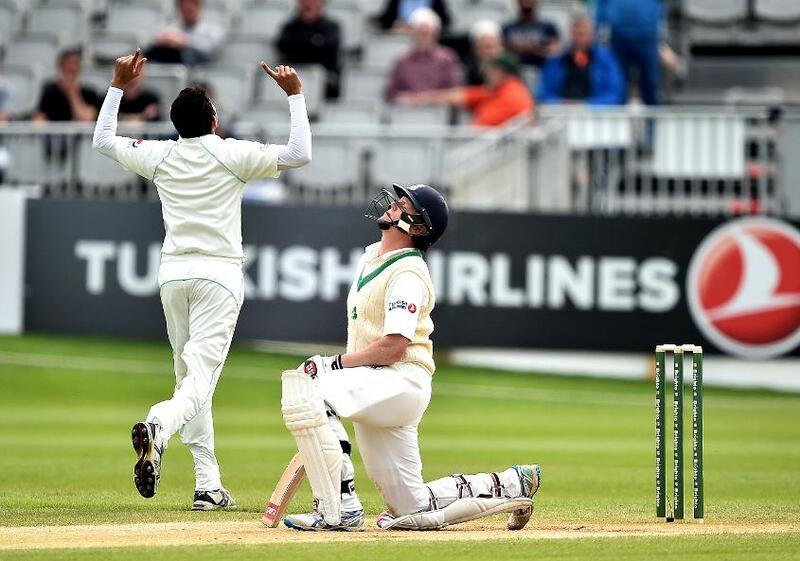 Ireland’s maiden Test match was a game that had been discussed and anticipated for almost a year, and worked towards for more than 10. For an experienced group of Irish players it marked the culmination of their careers, something many of them thought might never happen. It was an occasion filled with emotion and though Ireland didn’t win, having pushed Pakistan as close as they did, captain William Porterfield couldn’t have been happier with his team’s efforts. “I’m extremely proud of how we went about it,” he said after the end of the game. “All five days it was a hell of an effort. It was our first Test match and it was tough on the first day, we struggled a bit with the emotions. There were 11 caps being handed out, we had all our family and friends here and with all the build up to the game there were a lot of emotions for every lad, so to go out and start how we did was fantastic. The game swung on that period when Ireland’s first innings began. Having bowled well to restrict Pakistan to 310, all of a sudden they found themselves 7/4. The collapse would prove decisive, but Porterfield was delighted with how his side battled back. “I know from a personal level the heart was beating a little bit faster than it normally would [at the start of the second innings]. We’re only human, I’m not blaming it for our downfall in any way but there were always going to be a few nerves around. But the way we put that right with the fight in the second innings to get through to the close none down on day three was great. 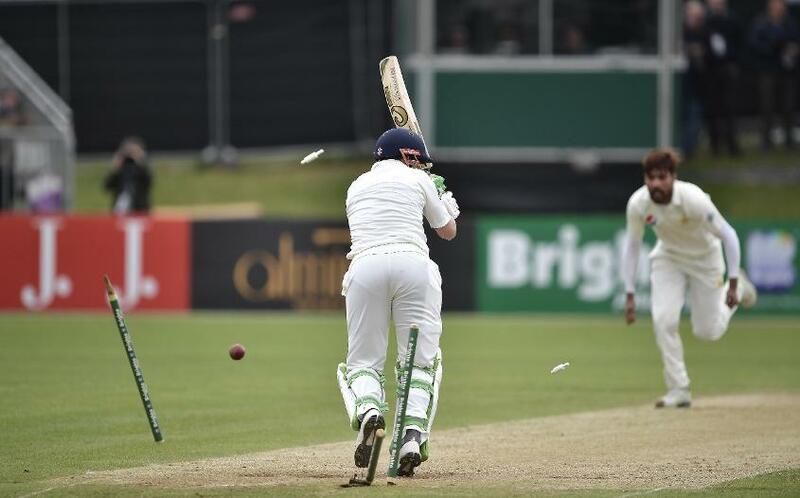 Porterfield pinpointed Ireland’s fighting spirit as the main positive to take away from their performance. “The biggest thing was how we fought back with the bat in the second innings,” he said. “That shows the character that we’ve had. It’s something that’s been talked about through big occasions like World Cups, how we’ve acquitted ourselves there. I think that’s always been known to be there. With the Test match over, thoughts turn to the future. Ireland’s XI contained seven players who were aged 32 or older, presumably closer to the end of their careers than the start. Porterfield has faith that the next crop of players will be ready to take their place. “I’m very confident in the next generation,” he said. “I’ve spent a lot of time in the last month seeing the depth we have up close and personal. The young lads are coming through and putting their hands up. There is that depth there, they just need to get cricket under their belts to give them the belief that they can play at this level. You see some of the raw talent and think that they could be unbelievable cricketers but we just need to expose them and get them in in the right way. Looking even further into the future, Porterfield feels that this first Test match and the nature of Ireland’s performance will have done much to plant the seed of the game into the hearts and minds of many children. “I’m sure in the next week or two there’s going to be hundreds of kids aspiring to be Kevin O’Brien in backstreet cricket. We’ve got to inspire the next generation like we got inspired growing up by the likes of Dekker Curry where I’m from. I looked up to him when I was growing up and I’m sure there’s a lot of young cricketers doing the same to ourselves.